I grew up attending auctions like Manheim and Adesa with my immigrant father and my two older sisters. Driving down to Pennsylvania to pickup cars for our used car lot was a weekly tradition in our household. I never imagined that I would see the decline of such great institutions in my lifetime. So even writing this article is difficult for me. My hope is that they can evolve with the modern buyer. We have all watched the decline of brick and mortar business due to the internet. Travel agencies have been replaced by sites like Travelocity, the classifieds have been replaced by craigslist.com and book stores by Amazon.com. Every day I read about a new app that disrupts a legacy institution. Look at what Uber has done to the old school taxi service. 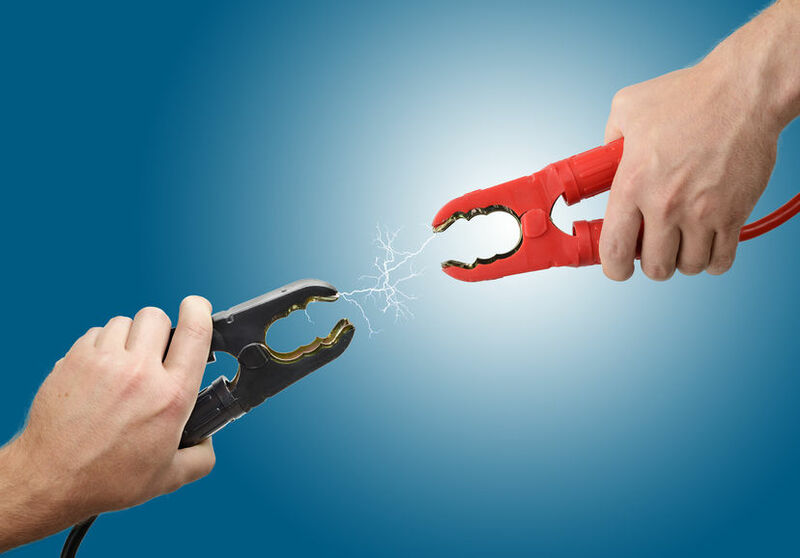 Are we in the midst of another major disruption? 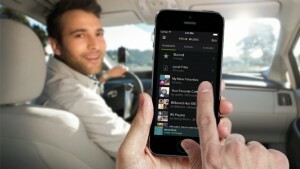 Are we seeing a shift to digital in the auto remarketing world as we speak? I think you all know the answer. We are in a time where the modern wholesale buyer spends as much time online as behind the wheel of his/her car driving to auctions. With App’s like Appraisal Lane, Auction Simplified and TradeRev changing the way dealers wholesale cars, will we see the decline of lane sale style auctions continue? At the tipping point: Online vs Lane Sale? Wholesale buyers are an odd bunch, they are slow to change and are fiercely loyal to their auction partners. But every day we see them evolve out of necessity. They are using their smartphones to appraise cars, they are on craigslist buying off the street and are now buying cars from apps in growing numbers. We finally have the momentum and willingness from buyers to use online sources to fulfill their dealership wish lists. So Why Are So Many Dealers Holding Online Auctions Now? Online is a level playing field: For years’ big box auctions have been giving special deals to larger dealer groups. Everything from lower fees to post sale bonuses, which gives those dealers an unfair advantage. Now any size dealer, including the large groups can hold their own auctions online and give themselves the bonus in the form of no fees at all. Any dealer can compete with any competitor regardless of size with a solid digital marketing strategy. 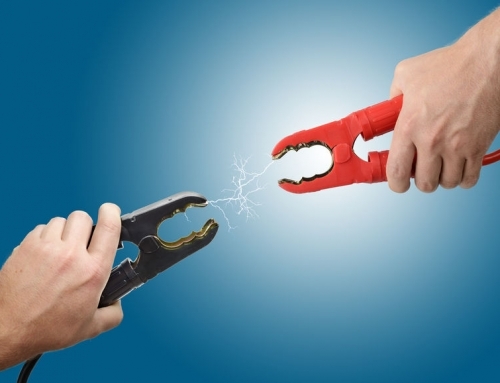 Traditionally a smaller retailer would struggle to match the power of it’s larger competitors. Online, with a crisp well thought out site with a smooth wholesale journey and fantastic service is king – not size. That’s why my company provides an auction platform, a smart phone app and a wholesale marketing website to our online auction dealers. Reduced cost: dealers can develop an online wholesale strategy for very little cost, in fact, some providers give the sites away and make their profit only on buyer’s fees. 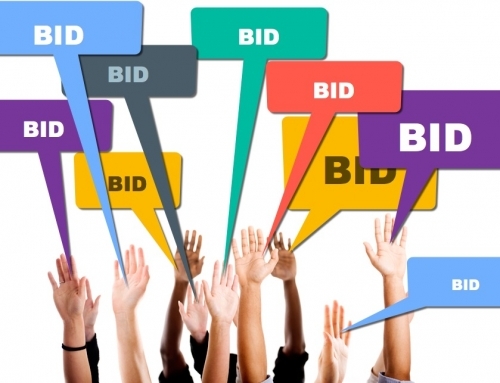 So a dealer’s online auction can potentially replace costly auction channels such as big box auction houses and national online auction services. 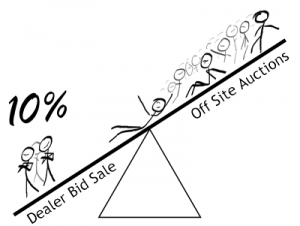 Simple to measure: Unlike traditional auctions, dealers can see in real time what is or is not working for their wholesale operation online and they can adapt very quickly to improve their results. Adding in-house insight to MMR and Blackbook can give a dealership the edge they need in a market. Look at how CarMax has profited from auction data in how they appraise cars. They are still using a lane sale, imagine what will happen when they go online as well. 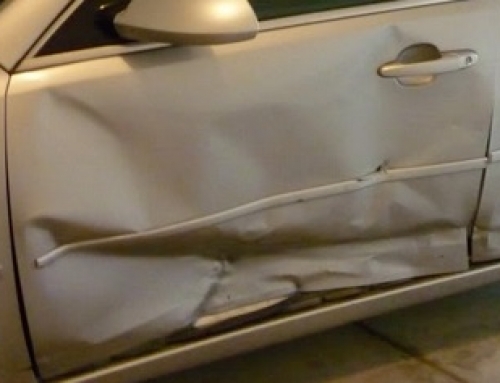 Merchandise Your Wholesale Used Cars as Vigorously as Retail. Real time results: At off-site sales, dealers depend on their lane rep to give them his/her gut feel of the market. 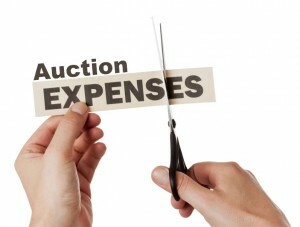 Even for dealers who have their accounting team preform analysis of the auction results, the info is late and most of the time does not take into account auction fees and other costs associated with off-site events. 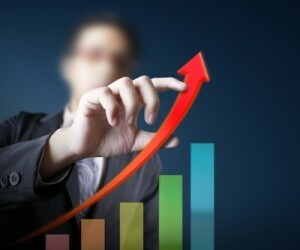 With a dealers own digital auction the results are live and actionable. Some of our dealers hold their used car managers meeting at the end of their online bid sale auction. Showing live trends, amplifying successes, and failures. What better way to have your team see the results of their appraisal actions? It is exciting and quite frankly the pier pressure alone can really make a difference. Refinement of Wholesale Strategy: Basically anything that a dealer can capture on their remarketing journey can be reported on and honed for greater success. Marketing wholesale online enables dealers to refine their strategy at any point in time and see any improvements or opportunities for further refinement almost instantaneously. Brand Development: A well maintained wholesale website with quality content targeting the needs and adding value to target independent dealers, salvage yard, and wholesaler audience can provide a significant additional profit. 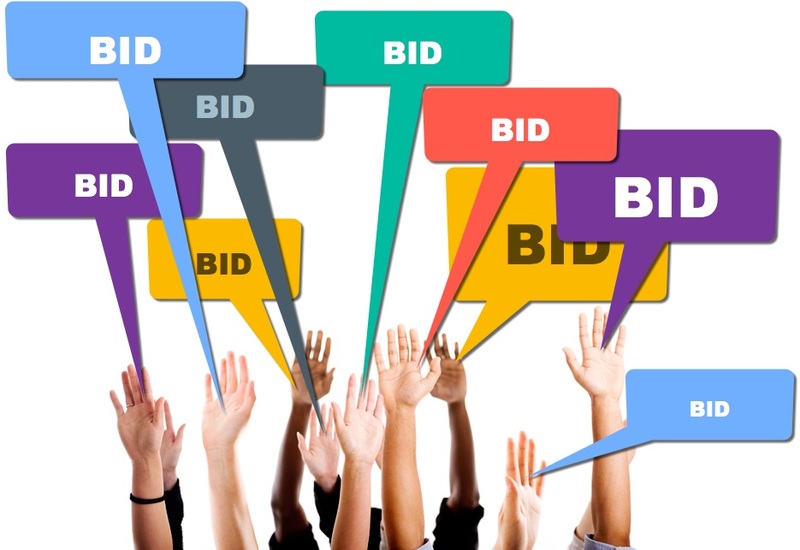 Once a dealer creates a following on their online bid auction, they will see profits rise as the number of bids per car increases. Higher Wholesale Profit: Online wholesale cars can be seen anywhere in the world from one marketing campaign, the cost to do this using traditional methods would be considerable. 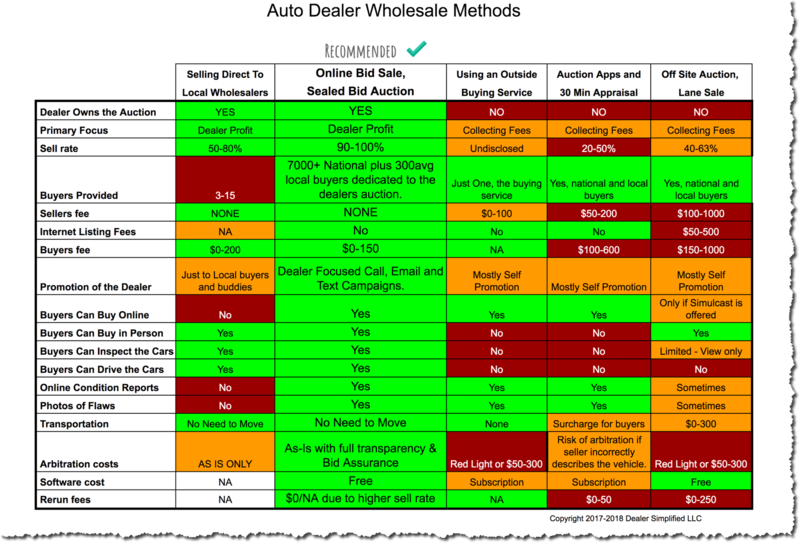 Add to that the dealer’s local buyers are longing to get back into their dealership again, and they have a two-fold approach to additional profit. 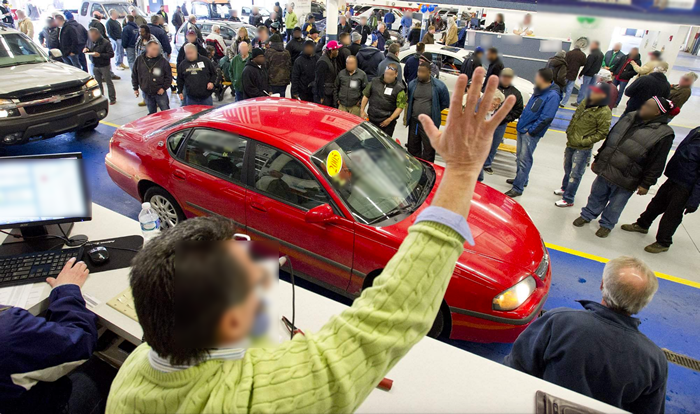 Because buyer’s fees are smaller at most online auctions, buyers can pay more per car than they would at big box auctions. 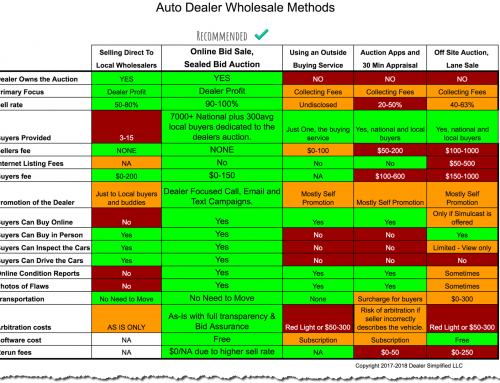 Not Intrusive: No dealer wants wholesalers hanging around their dealership all day, getting in the way and quite frankly most Indy dealers I know don’t have the time anymore. That is why online auctions with full condition reports and photos are taking the wholesale market by storm. Even if your dealership allows the buyers to look at the cars before they bid, they can schedule time on a specific day at a special location away from their day to day operations.